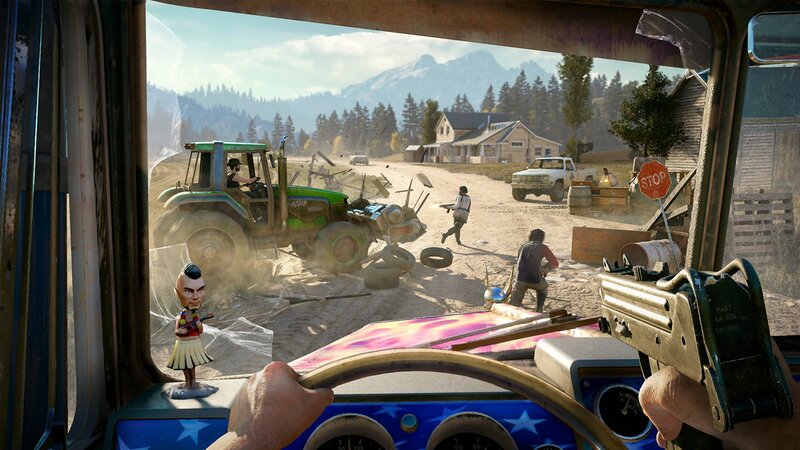 Sandwiched between Beyond Good & Evil 2 and Starlink: Battle for Atlas – a new toys-to-life actioner – on Ubisoft’s E3 2017 docket was Far Cry 5, the open-world sequel set within the fictional realm of Hope Country, Montana. 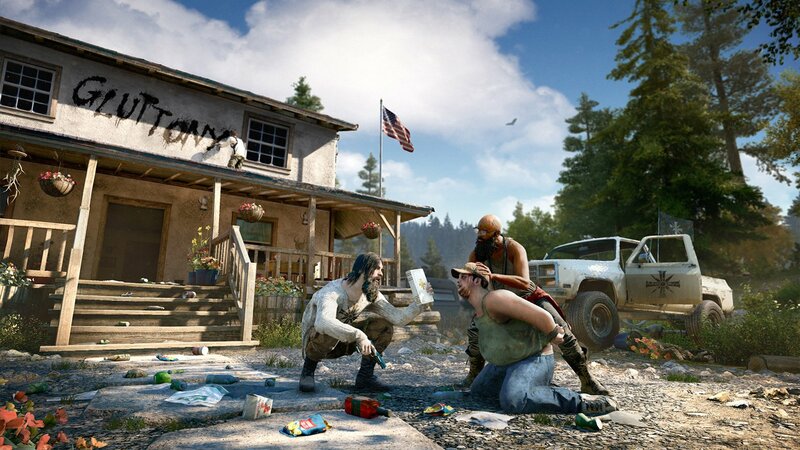 Pegged for a release in February 2018, Far Cry 5 is the follow-up to last year’s prehistoric Primal, and finds players fighting to liberate a small backwoods town from a cult of religious zealots. So far, so Far Cry. Building on the momentum from last month’s original reveal, E3 2017 brings with it an extended gameplay demo for Ubisoft’s sequel, which introduces Grace Armstrong, a hardboiled sniper, and Nick Rye, a maverick pilot with enough firepower to tear up the countryside from the skies. 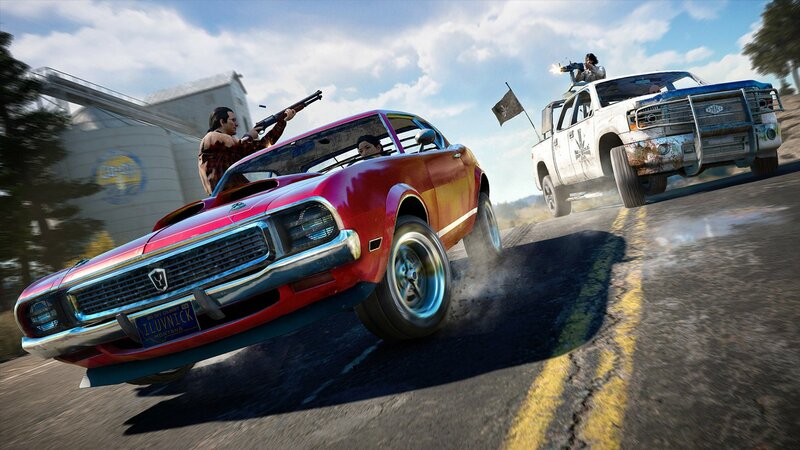 There’s also Boomer, an angry dog that can be unleashed upon your enemies. 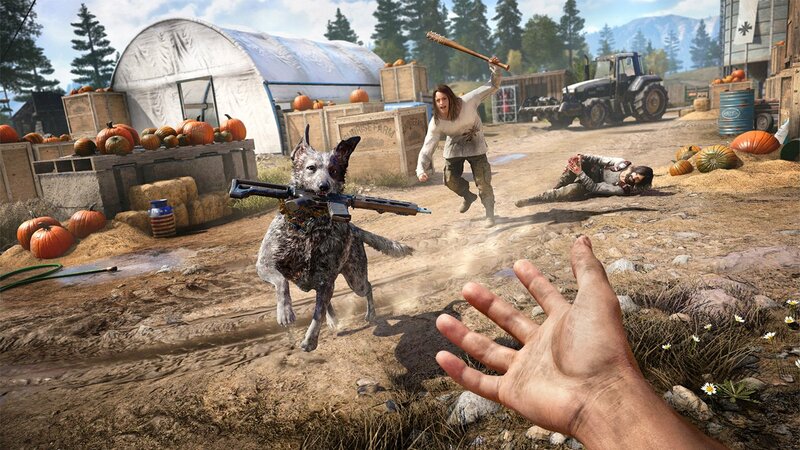 Yes, you’ll be able to enlist specialized animals to help fight for the resistance in Far Cry 5, while today also brought confirmation of the game’s MT Collector’s Case, the details of which can be found on the Ubisoft Store. Further details on the Season Pass will also be shared closer to release but in the meantime, you can take a deeper dive into the zany madness that Ubisoft is rustling up via the gallery of screenshots, below. 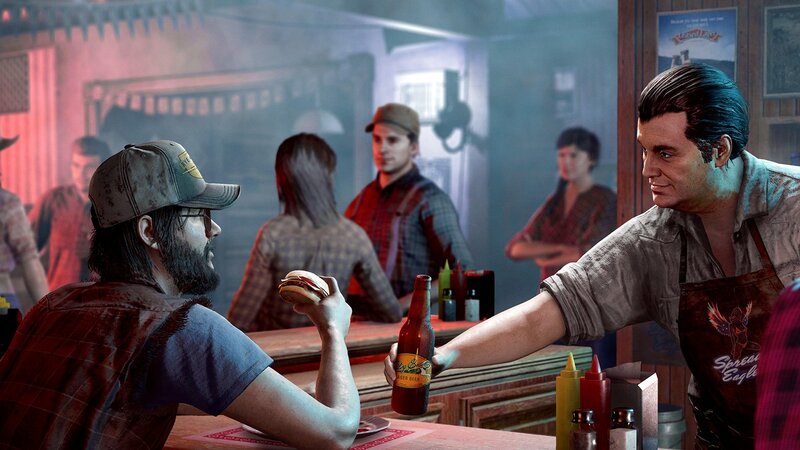 Ubisoft will cordially invite players to step foot in Hope County, Montana when Far Cry 5 launches for PS4, Xbox One, and PC on February 27th, 2018.